Tune In: Boys’ Tees — HUGE SALE!! The fun keeps on going after the TV shuts off thanks to these silly cartoon-inspired tees! 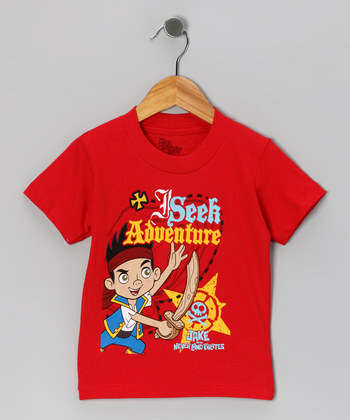 Whether your little one loves groovin’ along with Yo Gabba Gabba, giggling with the Muppets, searching for treasure with Jake and the Neverland Pirates, cruising with the Cars or blasting off with Buzz Lightyear, there’s a comfy cotton tee in here that they’ll be psyched to sport. If you are New to Zulily – Click Here to Check it Out! If you already have a Zulily Account – Click Here to Go Straight to the Sale! Shipping adds $5.99 but this is good on additional orders placed before midnight pt tonight. Zulily is a daily deal site and the offers are good for a limited time, while supplies last.